Stuart Broad has been casually referred to as The Next Flintoff ever since his remarkable bowling spell at The Oval back in August, but he’s only now starting to live up to the moniker by picking up “a niggling injury to his right knee“. The young superstar-in-waiting and chat show guest is set to undergo a ‘strengthening programme’, but not until after the Champions Trophy, which suggests that he may also be going down the Flintoff route in playing in less-than-crucial matches even when unfit because of his ‘presence’. If I was Broad’s manager, I’d lock the minibar and keep him away from pedal-powered water vehicles, or alternatively invest in some hangover-masking sunglasses. Much has been made in the build-up to the Ashes about the supposed weakness of Australia’s bowling attack, but it is quickly becoming apparent that England’s isn’t quite as good as some people would have you believe. Flintoff has bowled plenty of overs without looking particularly menacing; Panesar‘s only wicket was more or less self-inflicted by Ponting; Swann hasn’t proved as dangerous to the left-handers as was predicted, and has been outperformed so far with the ball by Nathan Hauritz, Australia’s alleged weak link; Jimmy Anderson has been Jimmy Anderson, threatening for a spell then innocuous until the second new ball; Stuart Broad has gone for nearly 4 an over. 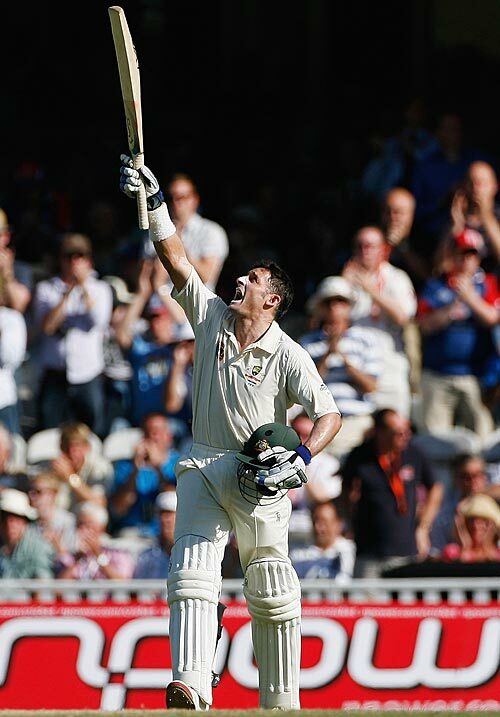 If England want to bowl Australia out twice in a Test this series, then someone needs to step up. 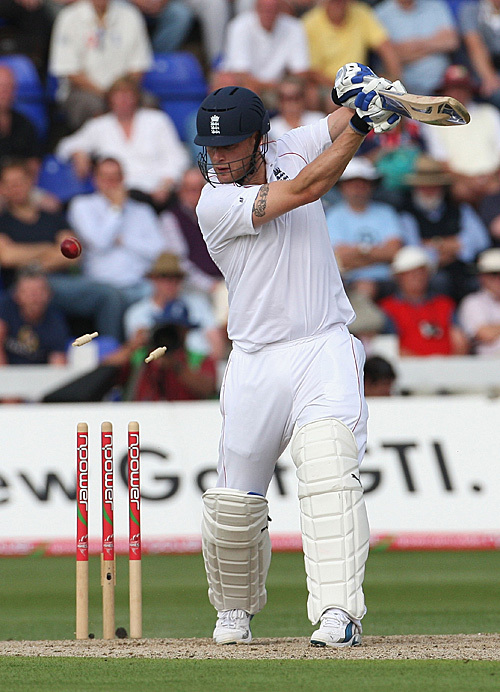 Graham Onions may be feeling confident about his prospects for the Second Test (as indeed may Harmison). 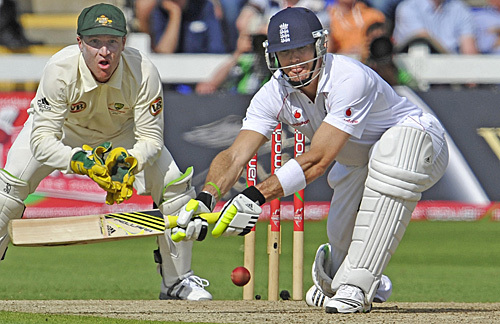 The first day of the 2009 Ashes was quite a day. It had a spectacular catch from Mike Hussey, Mitchell Johnson scaring the horses, Pietersen and Collingwood losing their heads (and their wickets), Prior and Flintoff going ballistic, a wholly unnecessary nightwatchman being employed to protect Stuart Broad, who ended up batting anyway, and Katherine Jenkins, for those of you who like that sort of thing. On balance, both sides will find plenty of encouragement, as well as plenty of areas for improvement. It seems at least some of the hype about the entertainment value of this series will be borne out. Unless you’ve been hiding away in a University tower for the last couple of months, it can hardly have escaped your notice that the Ashes starts tomorrow with the First Test in Cardiff. England’s fans (and some sections of the media) seem to have suffered a bout of collective amnesia (or perhaps repression), with the last series (which, of course, Australia won 5-0) as infrequently referred to as an old copy of the Encyclopedia Britannica or an Atlas that still has Yugoslavia and the USSR on it, and with many non-experts apparently believing that the 2005 series was in fact the last time these two sides met. Nevertheless, the events of four years ago are likely to foremost in the mind of Ricky Ponting, who will be desperate to restore his reputation and prove the doubters (such as a certain Mr. Thomson) wrong. If Mitchell Johnson can bowl at his best and the openers can cope with reverse swing more competently than Langer and Hayden managed four years ago, then the tourists can more than justify their status as favourites. 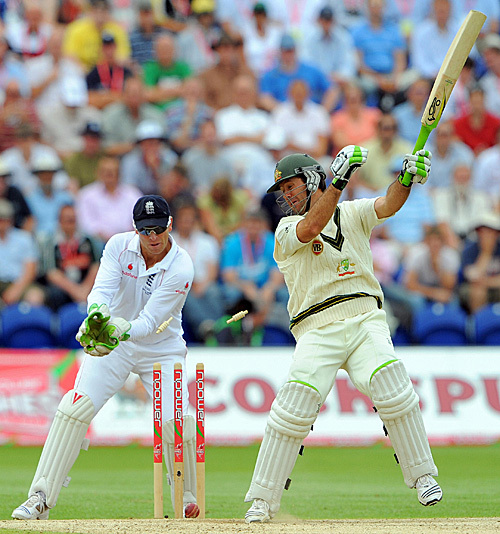 The home side, meanwhile, are – as ever – reliant on Pietersen and Flintoff. The emergence of Graeme Swann as a genuine spin threat who can hold a bat (and a catch) adds some balance to the lower order, but there is a lot of pressure on Broad, Anderson and the fifth bowler (a position that my be filled by a number of players throughout the series) to take wickets, something which Flintoff hasn’t done much of in recent years. The top order needs to display more solidity than it did over the winter, and while Ravi Bopara may have the element of surprise (although not to the extent that KP did four years ago), he will struggle to sustain his brilliant early-season form against a bowling attach which – for all its much-heralded weaknesses – will be far more motivated than the Windies were (and, of course, won’t suffer from as many misfields). Although it pains me to admit it, it’s tough to see past an Aussie series win. England’s selectors have announced their 13-man squad for the First Ashes Test at Cardiff, and there’s good news and bad news. The good news is mainly for Graham Onions – his performance against the West Indies (as well as a strong start to the season for Durham) has seen him included, and also for Monty Panesar, with whom Onions is competing for the last bowling slot, albeit with conditions rather than form likely to be the final arbiter of the decision about who plays. The bad news is for Steve Harmison (although he was expecting it, as he should have been after being left out of the 17-man training squad) and for everyone who hates Ian Bell, who has been included despite managing only 20 runs in two innings against the Australians last week. 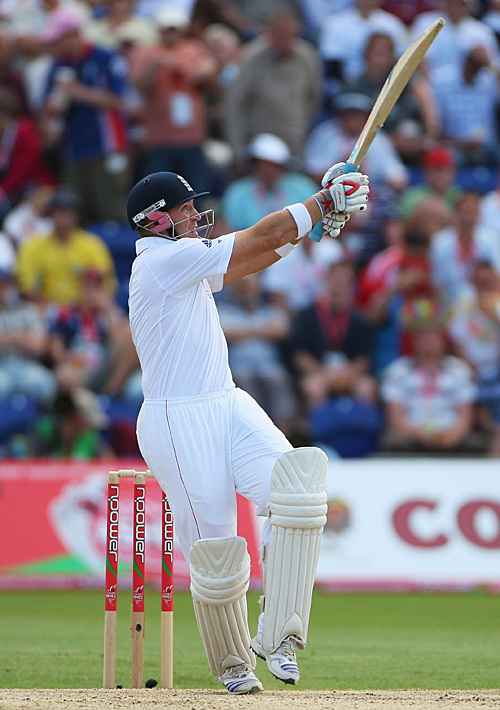 Bell is very much the 13th man, but an injury to any of England’s top order could see him play a part. The squad in full is as follows: Andrew Strauss, James Anderson, Ian Bell, Ravi Bopara, Stuart Broad, Paul Collingwood, Alastair Cook, Andrew Flintoff, Graham Onions, Monty Panesar, Kevin Pietersen, Matt Prior, Graeme Swann.